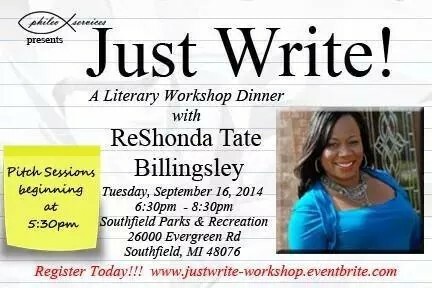 The “Just Write” Literary Workshop Dinner featuring ReShonda Tate Billingsley is scheduled for Sept. 16. Feel free to share this event with any and everyone! Seats going fast. Register now! !! 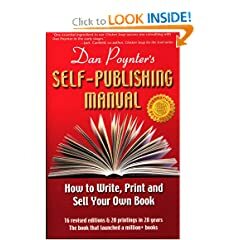 Publish & Market in the 21st Century! 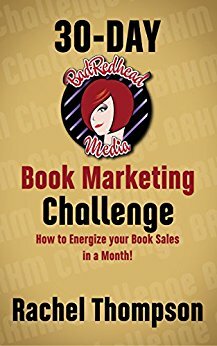 Participants will learn 21st Century Publishing techniques for paperback and eBook, along with marketing techniques for writers & businesses. 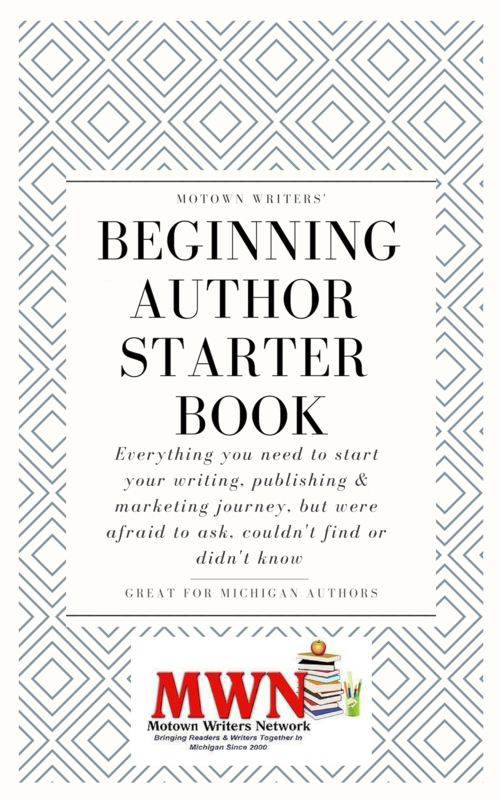 The object of these workshops is to help people get through the intricacies of getting your book out, and share resources for cover art, advertising, formatting and social media. Participants will receive resources and handouts to assist them in getting to their goals. visit the website to listen to older shows. 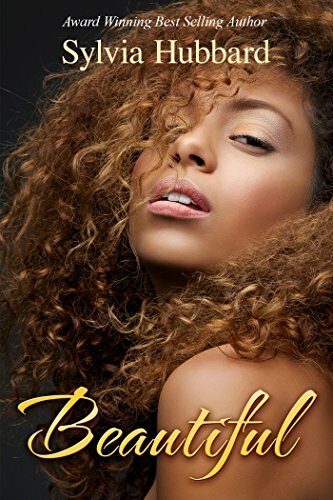 great literary talent of poets and authors to connect and educate you! for 25 years. Her 4WORD writing workshops help others do the same. Professional Coaches Association of Michigan. to life and breathes life with words. were serviced over the course of 5 months, with many more attempting to sign up. 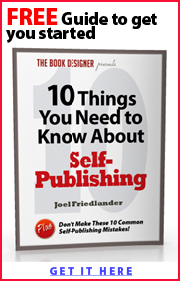 publishers how to create books and magazines from start to finish. 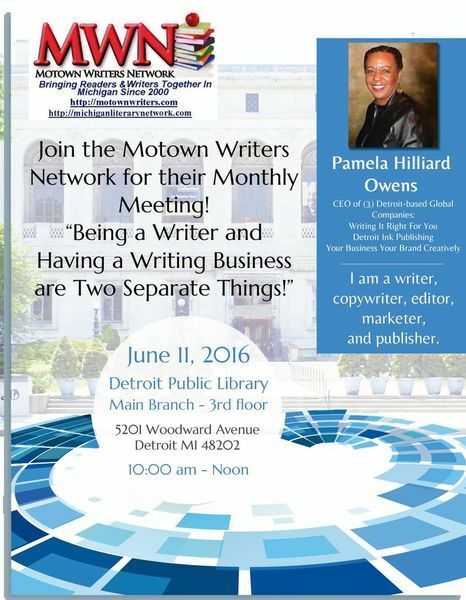 publishing courses to youth, adults and seniors in the greater Detroit area. track of Metro Detroit’s growing entertainment industry. Get a taste of screenwriting with expert, Zel Bothic. Zel Bothic is a screenwriter who is a native of Detroit. He divides his time between Detroit and Los Angeles. 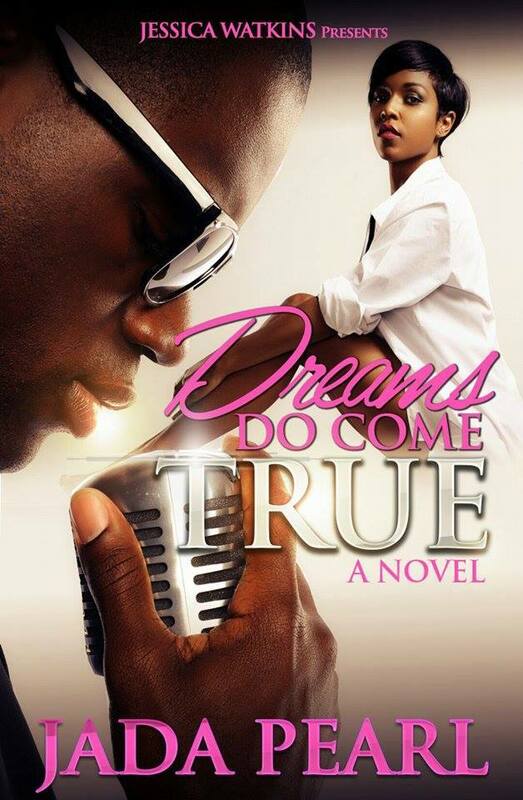 Zel is a graduate of Morehouse College, located in Atlanta, Georgia, where he received his bachelor of arts degree in mass communications. 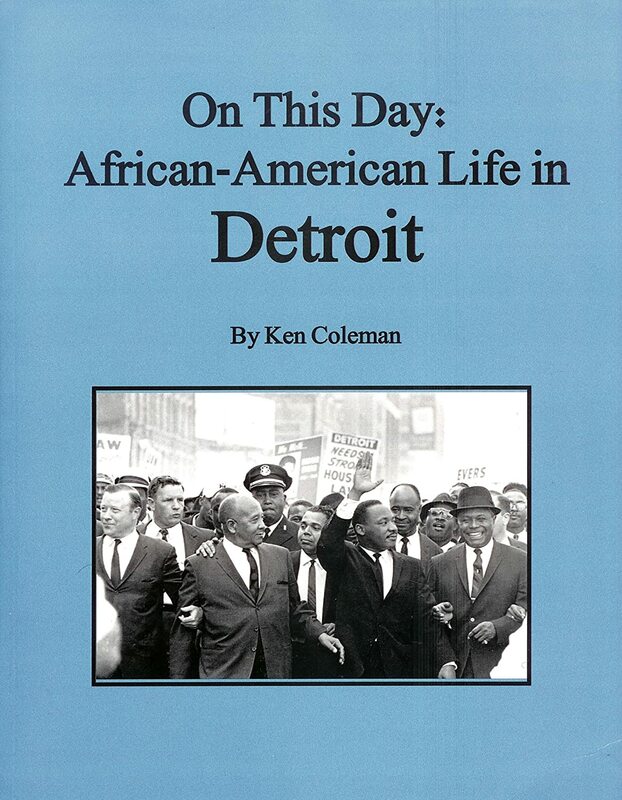 Following graduation from Morehouse, he joined AT&T in Atlanta, working in the company’s public relations department, serving as editor of the corporate newsletter and as a writer for the employee magazine, in addition to working in the company’s television studio as a writer and producer. Upon leaving AT&T, he moved to Los Angeles to attend the University of Southern California’s School of Cinema-Television where he received his Masters Degree in film production. Upon graduation from USC, he moved to New York to serve as Spike Lee’s assistant on several of the directors’ films. Zel has taught screenwriting at the University of Southern California’s Screenwriters’ Summer Program and at Inner City Filmmakers, based in Santa Monica, California and at the Artist Village located in Detroit. All Attendees will receive a discount on Zel Bothic’s Screenwriting 101 workshop coming up soon. Can’t attend but would like to be notified of more events by the film community? Please join Trinity Film Coalition @ trinityfilmcoalition-subscribe@yahoogroups.com. If you missed this workshop and would like an audio CD, please contact us.